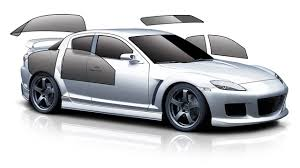 New Visions is the only company in the area that features a machine cut window tinting. While other local companies cut your windows film patterns by hand we have a computer cut system allows us to make precision window tinting installs. With this method we don’t have to do any cutting on your car windows which makes for a much safer installation. Not only do we offer the highest quality window films but we also have the newest in machine cut window tinting. We have heard so many stories of other window tinting companies that cut into the rubbers around the doors or scratch the glass when cutting. You don’t have to worry about that at New Visions because we are using the newest technology available by not having to do any cutting on your vehicles glass. In today’s world technology is constantly changing and we make sure we are always using the newest available to give you the highest quality possible.